It’s that time again, folks – time for another installation of everyone’s favorite fiction-focused feature on Waypoint! We’ll conveniently ignore that it’s largely the only one, obviously. Today, our newest issue dials in on some of the deeper aspects of the recently released Halo: Fireteam Raven arcade game. From the time it was announced, we wanted to make sure folks understood it was a first-class citizen of the Halo universe family, with a simple but engaging story and setting that adds some canon-based gravitas to the otherwise bombastic and blasty on-rails romp. Today we aim to put the Fireteam Raven experience under a bit of a magnifying glass and use it as a (no pun intended) vehicle for further exploring an extremely pivotal time in the universe’s timeline. This can be particularly helpful for folks new to a section of lore that’s now nearly seventeen years old(!). Also, in an amusing twist of fate, it was exactly one hundred issues ago that the resolution of this conflict was the subject of one of the very first Canon Fodders – well, technically it was also the subject of Issue 2 as well, but let’s stick with the anniversary theme. But back to the issue at hand, today we’ll look a bit deeper at sequences of events, heroes, enemies, and more. Prepared to drop? Let’s go. Actually… before we dive deeper into the lore, we did want to make sure you'd seen the “Making of Halo: Fireteam Raven” mini-documentary put together by our own Mike Sternoff and his content colleagues. It’s a great behind-the-scenes look at what it takes to put together such a unique experience – most of us have seen plenty of “making the game” video pieces, but it adds a completely different element when you also start factoring in the folks who are also designing and assembling the literal framework that houses the game experience. For that reason alone, it’s a super fun way to see the process all the way through from idea to arcade venue, especially for old folks like myself who grew up playing everything from Daytona USA and Pac-Man to Killer Instinct and NFL Blitz. Getting re-immersed into the practice of creating an incredible "destination gaming" atmosphere is all kinds of awesome. And then you go and add Halo to the mix? That's practically unfair. At any rate, if you haven't seen it already, definitely give the making-of piece a look! 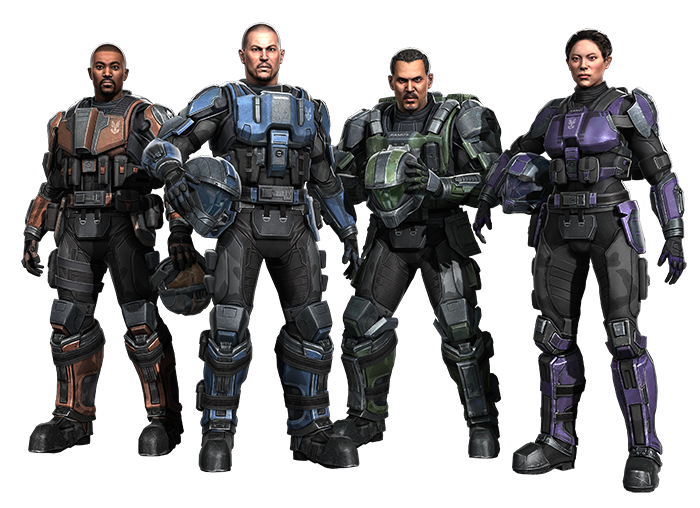 Fireteam Raven was present on the UNSC Pillar of Autumn, designated as part of the ODST battalion slated for deployment in Operation: RED FLAG. This operation represented an eleventh-hour attempt to gain leverage against the Covenant by boarding one of their flagships and, eventually, using it to abduct a Prophet Hierarch. Ultimately, ONI’s daring plan would be cut short before it really even began, when the Covenant besieged Reach. When the Autumn was forced to extract from the planet on August 30, 2552, it arrived weeks later at Installation 04. Below is a brief timeline overview covering events of the Halo: Combat Evolved console game, Halo: The Flood novel, and Halo: Fireteam Raven arcade game. While the Covenant prepare to assault the Pillar of Autumn, UNSC Navy technician Sam Marcus is ordered to “unseal the hushed casket,” and begins to unthaw the subject in Cryo Two – John-117, the Master Chief. The Master Chief is awoken from cryo as the Covenant board the Autumn and UNSC forces are emergency-deployed onto the surface of Installation 04. The remaining human and Covenant forces descend upon the ring, including Silva's own HEV and Bumblebee lifeboat Lima Foxtrot Alpha 43, the latter with the Chief and Cortana aboard. ESCAPE – Besieged by the Covenant, Major Antonio Silva deploys Fireteam Raven to fight off boarders before sending them groundside via SOEIV drop pods, just before the Autumn itself crash-lands on Halo. Following the capture of Captain Keyes by Covenant forces, the UNSC establishes Alpha Base atop a large mesa already fortified with ancient Forerunner structures and architecture. Housing a large contingent of ODST and surviving UNSC personnel, Alpha Base serves as the primary staging area for the UNSC as they plan their next moves and prepare for further conflict. Major Silva assumes command and is assisted by his Executive Officer, First Lieutenant Melissa McKay, and the AI Wellsley. During this time, the Master Chief embarks on a rescue effort to gather surviving marines scattered across the local surface of the Halo ring. After making landfall on Halo, Raven boot it to the Pillar of Autumn’s crash site under the guidance of the Wellsley through a mobile communication relay link, a trip that will take over 28 hours. The Master Chief leads a group of marines in an assault on the Covenant cruiser, Truth and Reconciliation and successfully retrieve Captain Keyes. The Master Chief and Cortana search for the ring’s Silent Cartographer. RUBBLE – Once Raven arrives at the crash site, they assist First Lieutenant McKay and the ODST battalion’s effort to take back the Autumn from the Covenant, securing weapons, vehicles, and other matériel, before transporting them back to Alpha Base. While the Chief looks for Halo’s Control Room, Keyes and an accompanying group of marines are attacked by the Flood while investigating a Covenant weapon cache. The Chief successfully locates the ring’s Control Room, but Cortana immediately orders him to rendezvous with Keyes as quickly as possible. The Chief discovers the fate of Keyes' team and subsequently uncovers the deadly Flood outbreak. Upon this discovery, he and other marines immediately move to escape the containment facility. 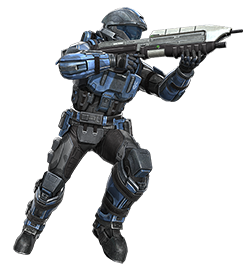 ALPHA BASE – After finally arriving at Alpha Base roughly 60 hours after landfall, Raven is briefed by Wellsley on their location – Halo – revealed to be a powerful, ancient weapon. During their briefing, Alpha Base is assaulted for the second time since making landfall and Raven moves to defend it alongside their fellow Marine forces. Before the battle is over, they are recalled to another part of the ring to deal with a newly emerging threat. Boarding a transport, the team extracts from Alpha Base, which is eventually overrun by the Flood. The Chief finds 343 Guilty Spark, who brings him to the Library and together they retrieve the Index, returning to the control room to find Cortana. However, when the Chief and Guilty Spark arrive back in the Control room, Cortana confronts them both with the true purpose of the ancient superweapon – eliminating all sentient life in the galaxy in order to stop the Flood infestation. Cortana confiscates the Index to prevent the ring from firing, and the pair escapes with Guilty Spark and Forerunner defense Sentinels in hot pursuit. ICE CANYON – Following their escape from Alpha Base, Fireteam Raven is directed by Wellsley to a vast ice canyon to assist the Master Chief. Here they encounter the Flood threat for themselves. 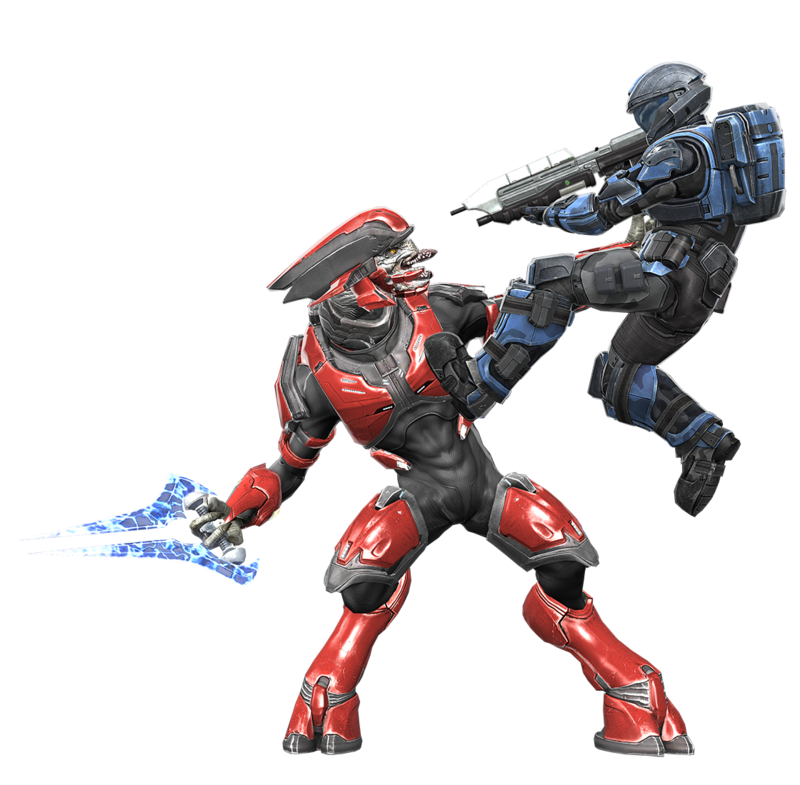 Punching a hole through Flood forces, Raven helps allow the Master Chief to proceed on his own mission, which Raven would remain unaware of. Hoping to cripple the Halo ring’s ability to activate, and simultaneously, draw the monitor’s attentions elsewhere to bide time for their escape, the Chief destroys three phase pulse generators in the canyons adjacent to the control room. The Chief returns to the Truth and Reconciliation to find the cruiser overrun by Flood, and arriving too late to save Keyes’ life. The captain has been compromised by the parasite, but the Master Chief is able to recover Keyes' neural implants and escapes the Covenant ship, eliminating as much of the alien threat as he can along the way. Major Silva's forces arrive at the Truth and Reconciliation looking to finish off the assault. After a successful boarding action that sees ODST forces capture the cruiser's San’Shyuum delegate, the Prophet of Stewardship, Silva decides to commandeer the craft back to Earth, eager to return home a decorated hero. His Executive Officer, First Lieutenant Melissa McKay, realizes however that Silva’s desire for accolades has blinded him to the fact that such an act would not only be an egregious violation of the Cole Protocol, but also potentially put humanity itself in even greater peril. Not only could bringing an enemy ship of this size back to Earth lead the Covenant directly to humanity's doorstep, there was also no way to know if the Flood infection itself had been fully eradicated. Taking all this into account, Lieutenant McKay acts quickly and courageously, creating an explosion that severs the primary control linkage from the bridge to engineering. The resulting damage renders any control of the Truth and Reconciliation impossible, causing the cruiser to crash back down onto the ring’s surface. RAVEN DOWN – Extracted from the ice canyon, Raven’s UH-144 Falcon transport is taken down. Fighting through hordes of Flood into the security of a nearby Forerunner structure, Raven somehow survives long enough to be extracted. The team immediately makes a beeline for the Autumn’s crash site, where they are called upon once more to buy the Master Chief invaluable time. LAST STAND – Arriving several kilometers just outside the Autumn’s crash site, Raven deploys in a Warthog, fighting against the Covenant lines from behind as they attempt to assault the human cruiser. Raven blunts the Covenant’s assault, even stopping a powerful Scarab assault platform, before finally being taken down. The Chief and Cortana initiate a wild cat destabilization of the UNSC Pillar of Autumn’s fusion drives, destroying the ship and Installation 04 in the process, stopping both the Flood and the Halo weapon itself from being activated. Fireteam Raven are KIA as Halo blows apart, but not before playing a heroic and critical role in the Chief’s ultimate goal, stopping the numerous threats the installation presented. Cortana scans Halo’s debris field for survivors. Now that we’ve got a bit of a history lesson, let’s take a look at some of the major players involved. A native of the Jovian habitat clusters on Io, Ethan Graves’ grew up with fond childhood memories of his storytelling father, who spoke of Jupiter as the true unsung protector of humanity – without her gravitational influence on wayward asteroids, comets, and other natural incursions, Earth would have likely been destroyed from without long ago. 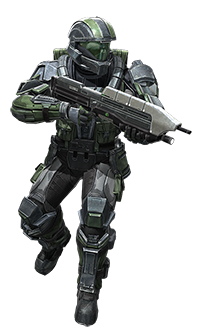 Ethan joined the UNSC Marine Corps as much to get away from a life working the factories and mines as to fight the Insurrection, but his sharp intellect and decisiveness made him a natural leader. He rose quickly through the ranks, always leading from the front, earning him the admiration of his officers and the respect of his squad members. When the Covenant attacked, Graves immediately requested admission to the ODST, he knew that now, more than ever before, Earth was under threat from beyond and it was his Jovian duty to defend her. Ava Lang grew up around technology, spending much of her free time tinkering with projects brought home by her mother, a leading engineer for Acheron Security in the Chicago Industrial Zone. Her work on projects for the Tactical Autonomous Robotic Defense System eventually inspired Ava herself to study new semi-automated solutions for explosive ordnance disposal. 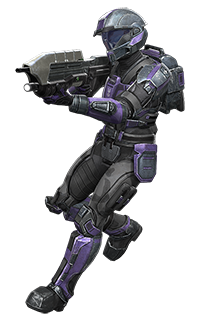 When she eventually enlisted in the UNSC, her skillset expanded to include the employment of explosive ordnance in more offensive capacities. Her deft decision-making and unflappable resolve eventually landed her a spot in the ODST ranks, where she was soon assigned to Fireteam Raven. Marcus was barely school-age when first contact between the Covenant and humanity occurred. As the years rolled on, he was surrounded by a New Alexandria population steeped in a false sense of security that the Covenant attacks that appeared with greater frequency on the newsfeeds could never happen to them. Marcus himself wasn’t so sure and and dedicated himself to being prepared in case the seemingly unthinkable happened. A gifted student athlete, Marcus excelled both on the field and off, matching championship performances with academic accolades – a combination that put him firmly in the sights of top-level accelerated enlistment programs within the UNSC. His deft skills with a rifle were equal to his prowess with cutting-edge military technologies, making him a natural fit for among the ODSTs in Operation: RED FLAG. Born in Casbah City on the colony world of Tribute, Victor Ramos grew up in a neighborhood that still bore the scars of insurrectionist terrorist attacks from nearly a decade before. From the time he was a child however, family fears of another colonist uprising had turned into an existential dread of Covenant invasion. Ramos enlisted in the UNSC the moment he could, determined to give his loved ones – and many others like them – a reason to never be afraid again. However, as Ramos and his fellow Helljumpers were forced to watch Reach fall in 2552, he was forced to confront the knowledge that the Covenant were also razing his own homeworld at the same time, and there was nothing he could do about it. When the Pillar of Autumn jumped to Alpha Halo, he was left to ponder the fate of his family back on Tribute, and promised himself he’d make it back as soon as he could. 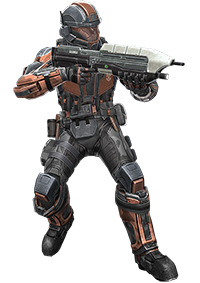 A UNSC officer and battle-hardened Helljumper, Major Antonio Silva commanded the Pillar of Autumn’s ODST forces during the conflict on Alpha Halo in September 2552. Decades earlier while serving aboard the UNSC Atlas, four ODSTs under Silva’s command were conscripted to play unwitting part in a plan to test the capabilities of a then-young and freshly-augmented John-117 – a confrontation that cost two of the Helljumpers their lives. Furious at such a seemingly wasted expense of his soldiers’ lives, Silva would harbor a bitter grudge against Spartans, and cling to these old hatreds until the very end. Still, with their backs against the wall after the Autumn’s arrival and subsequent grounding on the surface of the ring, Silva was instrumental in rallying the surviving UNSC forces against both Covenant and Flood forces at Alpha Base, assuming command following the abduction of Captain Keyes at the hands of the Covenant. In the end however, it would be a misplaced sense of priority that would be Silva’s downfall, as he sought to capitalize on the capture of the Truth and Reconciliation for gain and glory. In attempting to commandeer the Covenant cruiser and return with it to Earth, ODST’s commanding officer showed little regard for the Cole Protocol, potentially putting millions more lives at risk. Only a heroic sacrifice by his Executive Officer, First Lieutenant Melissa McKay, thwarted his misguided plans, at the cost of the entire boarding party’s lives, including her own. A fourth-generation, Class-C military “dumb” AI, Wellsley was designed to specialize in battlenet management and control of automated weapon systems. 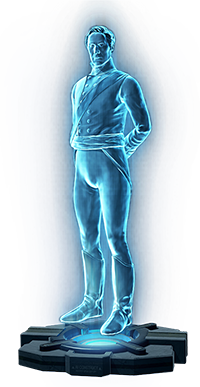 Programmed with a quirky personality modeled on the historical Duke of Wellington, his holographic avatar reflects that of a stern-looking man with longish hair, a prominent nose, and a high-collared coat. Wellsley was assigned to the ODST Battalion aboard the Pillar of Autumn. 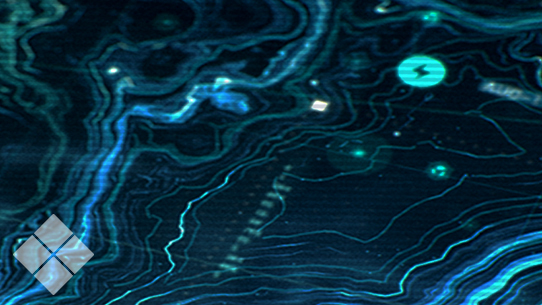 Though he was a good deal less capable than a top-level, smart AI such as Cortana, all of Wellsley’s computational capabilities were focused on military matters, making him extremely useful for managing battlefield logistics. With Wellsley hardware-bound – typically housed in the command drop pod – Raven utilized a mobile communication module as a relay link to allow real-time intel and comms with the AI’s safely-stored personality matrix. This allowed the ODST squad to react swiftly to the most updated intel available, aiding them greatly in their quest to assist the Master Chief. Halo: Fireteam Raven actually gives us a unique and diverse cross-section of the Covenant presence on the ring, including things like Upright Chalice, the Lich deployment craft that aided in the Covenant assault on Alpha Base before returning to the Blameless Conceit, a destroyer under the command of Shipmaster Orna 'Fulsamee. In fact, one of the game’s coolest aspects is that it allows us to view the events on Alpha Halo with a wider lens, giving us a broader understanding of the scope of the conflict on the ring. The Covenant’s arrival at Installation 04 should have in many ways been the crowning moment of the empire – for centuries the alien alliance had scoured the stars in search of the sacred rings, hoping to one day finally follow in the footsteps of the Forerunners and transcend into godhood. 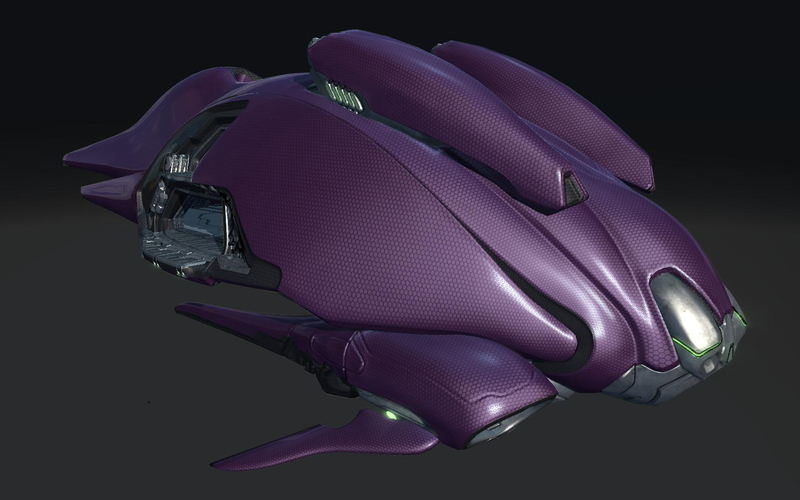 It was the Fleet of Particular Justice, led by none other than Thel ‘Vadamee himself, that arrived at Halo on late 2552. Like the empire itself, ‘Vadamee arrived at the precipice of greatness, a moment that for all intents and purposes was set up to consecrate his destiny alongside that of his fleet and his people. Instead, ‘Vadamee would be served his greatest defeat. 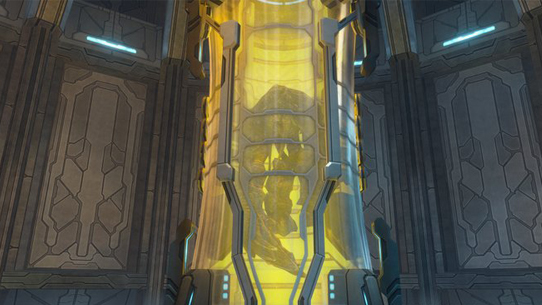 Despite having just come from the site of one of his greatest victories with the destruction of Reach, the Covenant’s Great Journey would grind to an excruciating halt at the hands of a human demon, and in front of the Sangheili commander’s very eyes. Despite a valiant effort to secure the ring for the Covenant, ‘Vadamee’s forces were unable to overcome a battle that quickly spiraled out of control. From his own political distractions in the form of the Prophet of Stewardship, to the unexpected and untimely release of the ancient and deadly parasite, ‘Vadamee was forced to watch as the ring twisted and tumbled through the space between Threshold and Basis, his decorated career undone by the very race he’d spent decades helping eradicate. Fearless in the face of ferocity, Fireteam Raven squad leader Ethan Graves engages one of Thel 'Vadamee's Sangheili majors. Halo: Fireteam Raven also gave us a bounty of awesome encounters against everyone’s favorite ancient evil parasite. In addition to the usual suspects (Keyser Söze not included), the FTR experience added a few new surprises into the mix. Even from the reveal trailer folks were asking, “wait… did I just see a pure form? !” Deep-lore denizens who went zero-to-Incredulous Hulk in 3.43 seconds found their curious consternation centrally steeped in the fact that, under normal circumstances, the presence of a Gravemind is typically required for the creation of new pureforms. Which, to be clear, is still largely the case (biomass joke). That being said, the appearance of a pure form during the conflict at Alpha Halo is not implausible or impractical. Aside from just being a cool enemy to fight from a sheer gameplay perspective, there’s preexisting lore precedent as well. We’ve actually already seen examples of pureforms kept in containment areas of a Halo ring as far back as a decade ago, when the Cold Storage map was released for Halo 3. As the Flood consume and convert everything in their path, the lack of potential hosts soon limits its ability to create new infected. However, with the conversion of the environment and the existence of a centralized intelligence, the Flood can spontaneously generate new war-forms entirely from FSC (Flood Super Cell) and salvaged skeletons. The variety of forms that these creatures take is vast, and nearly impossible to effectively catalogue; particularly as many can change to another configuration in response to new threats. Speaking of big surprises, quite literally the biggest one was likely the appearance of the fabled Flood Juggernaut combat form. Ever since their removal during the development of Halo 2, the Juggernauts have been theorized about and dwelled upon, with many fans wondering if we’d ever get to see them in the, well, flesh (gross). In many ways, Halo: Fireteam Raven was perhaps the perfect place for their debut – an oversized, bombastic enemy for an oversized, bombastic Halo campaign experience. Encounters with a Juggernaut in the game is always a sight to behold, with quick responses and combined fire needed in spades. Juggernauts are highly specialized combat forms directed by a seething mass of infection forms linked to multiple hosts. The creature harnesses the hosts' minds to analyze enemy activity and adjust the local Flood strategy accordingly. They have some of the traits associated with full-fledged key minds, including the abilities to synchronize nearby parasites and relay information between distant Flood hordes. 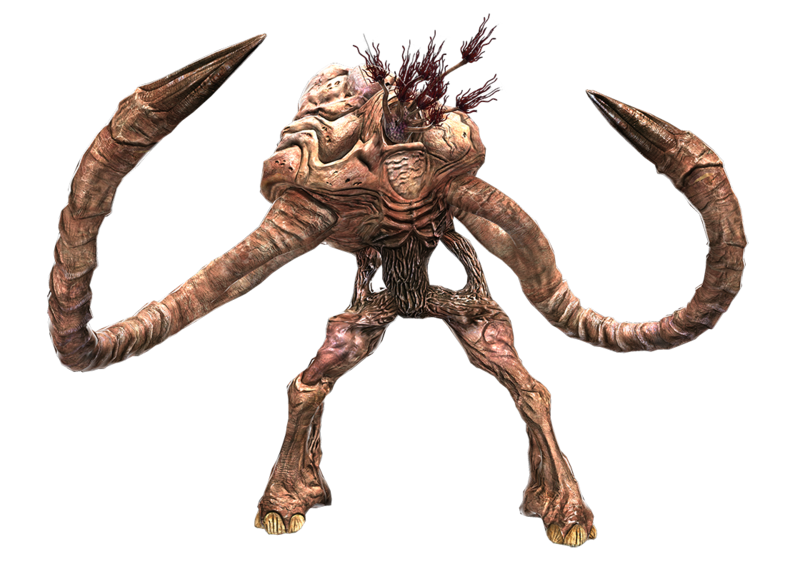 The most significant aspect of the Juggernaut is their enormous size and raw physical strength, capable of impaling armored vehicles with their sharpened tendril-arms and crush unsuspecting victims with their trunk-like legs. As many of you are already aware, earlier this month we put together a little Community Content Care Pack on the Halo Waypoint forums full of awesome Halo: Fireteam Raven screenshots, logos, renders, and wallpapers, designed both for general enjoyment and especially to help community content creators have access to high-quality assets in the same way the media might with a conventional press kit. Folks seemed to really like it, and so for today’s Raven-focused Canon Fodder we wanted to add some additional treats. 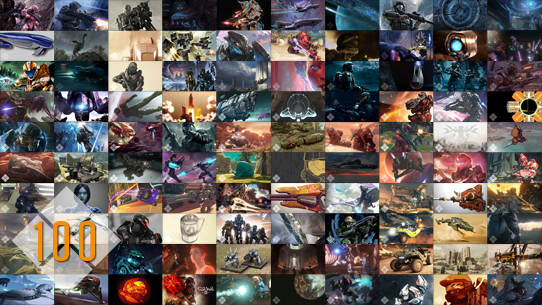 Below, you’ll find links to some pretty amazing video loops, each one taken basically as a snapshot in time from each level of the Halo: Fireteam Raven campaign (you can see an example in the sweet gif above). Originally created to be displayed at various idle intervals in the game screen, here you can witness them as many times as you like in all their glory. Or use them in creative ways to make your own awesome content! Big shout out to Franchise Team colleague Carlos Naranjo for helping drive amazing assets like this for the community alongside our friends at Raw Thrills and Play Mechanix. If you enjoy diving into the deeper parts of the Halo universe – and why would you be here if you didn’t? 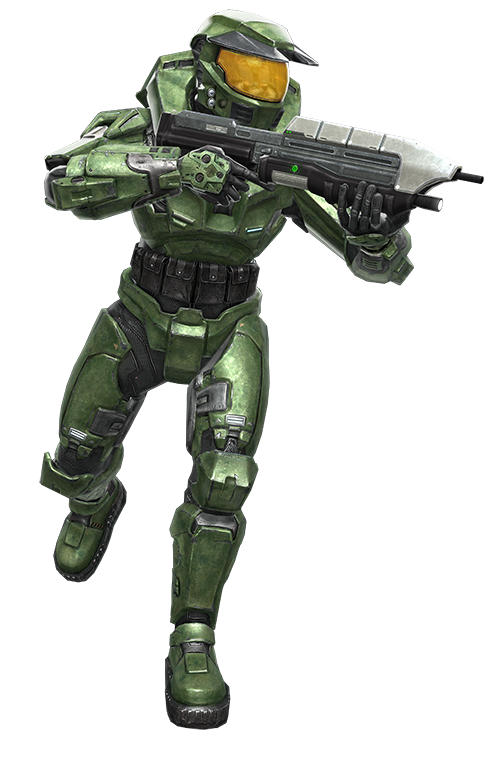 – then make sure to check out our Universe Encyclopedia section of Halo Waypoint! Below are links out to some of the more relevant articles for today’s discussion. Before we go, just yesterday we unveiled a tasty little morsel to help whet your lore-lovin’ appetite for the upcoming Master Chief and Blue Team novel, Halo: Silent Storm, which is out on Sept 4. The book is authored by Troy Denning, with the full audiobook voiced by veteran Halo narrator Scott Brick. Of course, with this being the first Chief-focused novel to hit store shelves in nearly a decade, we aren’t the only ones excited – the Chief himself is just as stoked as you all are for a new John-117 page-turner, and so he’s helping us get prepared in style. That’s right, the special audio excerpt we’ve got right here is voiced by Mr. Steve Downes, and if you ask me, it’s just as epic as you are likely imagining. And if it’s not, you’re probably a dirty Covenant sympathizer. Or a clean one, who knows. At any rate, make sure you give it a listen, because everyone deserves a little Downes time. Until next time… Live well, play Halo, and I might just have a new favorite Halo novel. 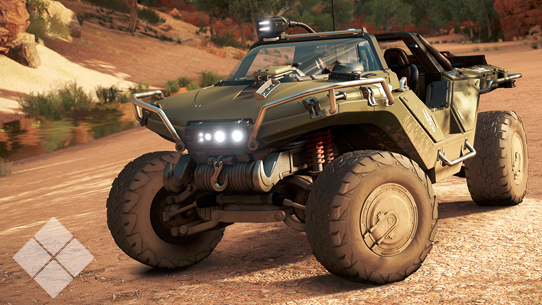 This week in a very special issue of Canon Fodder, we highlight the Warthog's arrival in Forza Horizon 3, and look at the boundary between the automotive world and the Halo universe.